Climate Change Is a Security Threat, So Where Is the UN Security Council? 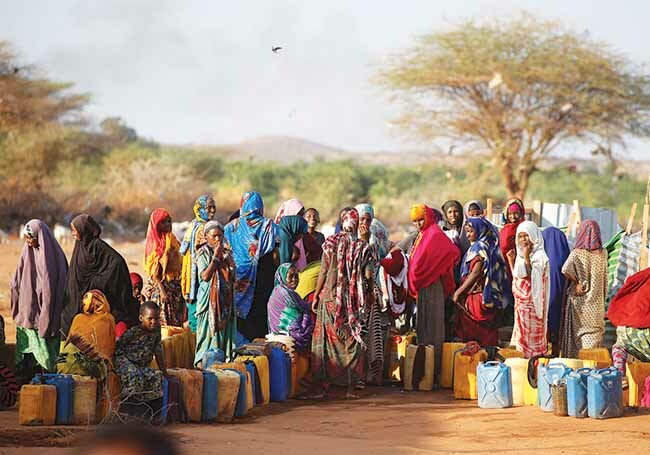 Due to a warming world, conflicts will become more common. Scientists, think tanks, nongovernmental organizations (NGOs), militaries, and even the White House (albeit under President Barack Obama) all agree that climate change threatens human safety and well-being. Yet the organization charged with global security has remained relatively silent. The UN Security Council, responsible for maintaining international peace and security, is made up of 15 countries. Five seats are reserved for permanent members with veto powers (China, France, Russia, the United Kingdom, and the United States) while the other 10 members are elected to represent their region (Africa, Asia-Pacific, etc.) for two-year terms. Together, this semirotating group of 15 makes binding decisions for all 193 UN members. 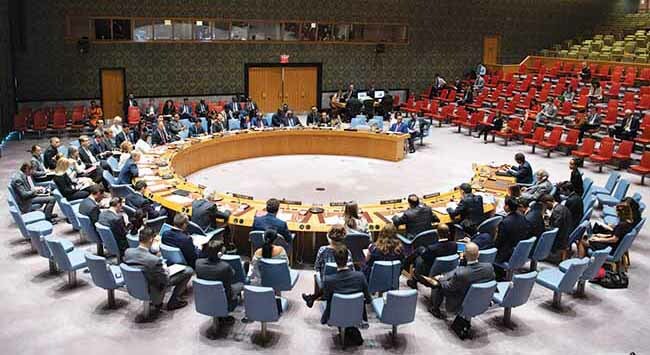 This alone makes the Security Council a very powerful institution, but combined with its capacity to sanction and intervene in the affairs of states, it has an influence far exceeding that of any other international body. It is, in many respects, the executive body of the international system. For this reason, the council has considered contemporary security challenges such as international terrorism, nuclear weapons proliferation, and transnational crime. Positive results include an international crackdown on the financing of terrorism, the sharing of information to tackle various criminal problems, stronger border controls for nuclear materials, and the global mobilization of experts to address a health epidemic. The fact that the Security Council has helped combat these varied and largely unrelated challenges shows its potential to do good things. So why hasn’t the council engaged climate change in any meaningful way? Sanctions pursuant to Article 41 of the UN Charter would be available to the council in the event of states not meeting their Paris Agreement obligations. Economic sanctions could also be placed on corporations, which currently operate with relatively little international scrutiny. What the council brings is an ability to coerce—something currently lacking throughout international climate law. The council hasn’t entirely ignored climate change. In 2007, the first open debate on the matter took place, though it was based on the unofficial proviso that no binding output would follow. Similar discussions were held in 2011 and 2013, but stark divides among the members prevented any meaningful outputs. What this represents is a lack of unity over whether climate change really belongs on the agenda. While most states now agree climate change is a priority—as exhibited by the success of the Paris conference in 2015—there is no consensus on what role, if any, the Security Council should play. From one perspective, countries like New Zealand and Germany view climate change as a security issue of immense proportions and worthy of the council’s attention. On the other hand, states such as China and South Africa argue that if the council engages with climate change, it will undermine the sovereignty of states, fracturing the international system. These positions are entrenched, reflecting vastly opposing ideologies in relation to both climate change and international relations, thus precluding any meaningful intervention. Yet this does not necessarily mean the Security Council is frozen indefinitely. The council has a history of taking tentative steps when moving into new territory, and climate change will not be an exception. In 2011, a statement by the then-president of the Security Council (a position that rotates among member states each month) loosely linked climate change and traditional security challenges. In 2017, the council unanimously adopted Resolution 2349, which hinted that climate change had contributed to conflict and instability around Lake Chad and the wider Sahel region. And in January 2018, a second presidential statement twice referenced climate change in the context of instability in the Sahel region. These statements fall short of finding climate change an explicit security threat, but they do show the council is steadily becoming more comfortable with the subject. And without that degree of comfort, we would likely not have seen the passing of Resolution 2408 last March 27. This resolution, again adopted unanimously, extended the mandate of the UN mission in Somalia for another year and became the latest council resolution to include a reference to climate change. The language remains speculative, and the council is careful to only recall its 2011 statement instead of making a bolder, stand-alone declaration on climate security. The resolution fails to indict “climate change” as the cause of these problems, yet it is nonetheless progress. After years of dispute, council members are starting to agree on the inclusion of the words climate change in a resolution—a big step forward for the world’s most powerful but politically polarized body. So where are we? The Security Council has access to the tools the world so desperately needs to enforce state and private action on climate change, and although it is taking its time, there is some advancement. That does not mean climate change is about to be recognized as a security concern in its own right, but each step taken is valuable, and the council is certainly on the right path to identifying climate change as the security threat it so clearly is. This article was originally published May 15, 2018, by The Conversation UK. Ashley Murphy receives funding from Keele University in Keele, Newcastle-under-Lyme, Staffordshire, United Kingdom, to conduct a Ph.D. research project into international environmental governance through the UN Security Council. He graduated with an LL.B. with honors in law from Liverpool University and gained an LL.M. with distinction in international law from Leicester University.